The Kirkland Wild Alaskan boneless skinless Pink Salmon is delicious and convenient! There are many health benefits to consuming fish. Pink Salmon is an especially nutritious fish. With a whopping 700 mg of Omega-3s per serving, wild Alaskan pink salmon is a healthy choice for a quick snack or meal. Since this pink salmon is canned, you can store it in your cabinet and use it whenever you need to. 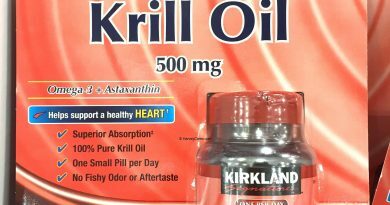 The ingredients contain only Alaskan pink salmon and salt. Nothing else is added. Preparing fish can often be frustrating and challenging. You want fresh fish without needing to worry about whether or not it’s farmed. Where is it from and what does it contain? Kirkland Wild Alaskan boneless skinless Pink Salmon eliminates all of my personal worries. After feeding naturally in the North Pacific ocean for two years, the Wild Alaskan Pink Salmon is caught. Purse seine nets are used to catch them and they are immediately taken to the cannery to retain their freshness. The pink salmon’s bones and skins are removed and packed into these cans. Salt is added to preserve them. Nothing else. The Pink Salmon is not salty at all and I found them to be very flavorful. Quite enjoyable as a quick meal with bread. You can also use the Kirkland Wild Alaskan boneless skinless Pink Salmon for cooking to enhance your dishes. A bit of salmon goes really well with all kinds of meals. 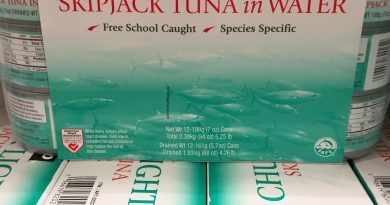 Looking to Purchase Kirkland Wild Alaskan Boneless Skinless Pink Salmon? 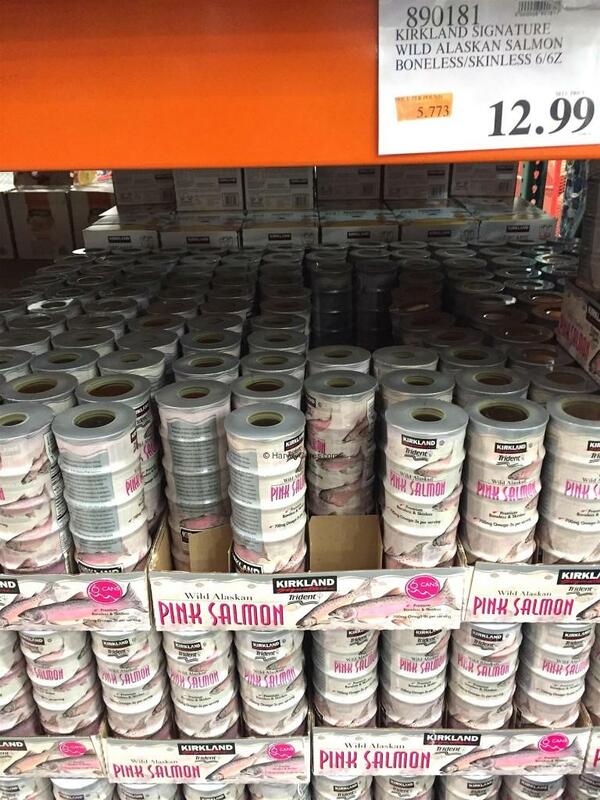 Shopping for the Best Pink Salmon? The Kirkland Wild Alaskan Boneless Skinless Pink Salmon is wonderful. Given the many health benefits of salmon, take a look at these other options. Pink Salmon (Oncorhynchus gorbuscha). Salt. The Kirkland wild Alaskan boneless skinless Pink Salmon serving size is 1/4 cup (56 g or 2 oz). 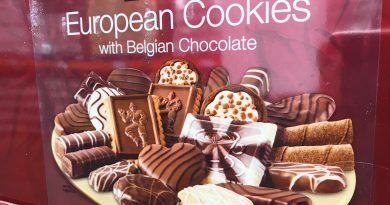 There are about 3 servings per container. 60 calories per serving. 10 calories from fat per serving. This is a six (6) 170 g (6 oz) can container. Kirkland Wild Alaskan boneless skinless Pink Salmon is caught using purse seine nets after feeding naturally in the North Pacific ocean for two years. After the Alaskan salmon is caught, it is transported to the cannery. The pink salmon’s bones and skins are removed and packed into these cans. Pink Salmon has numerous health benefits. Wild Alaskan Pink Salmon contains many nutrients and minerals vital for a healthy lifestyle. Pinks salmon also contains 700mg Omega-3s per serving. The Kirkland Wild Alaskan boneless skinless Pink Salmon is perfect for a quick snack. Very easy to make a great lunch out of this. The Pink Salmon tastes great. It’s so convenient to open a can and have a delicious serving of salmon ready. 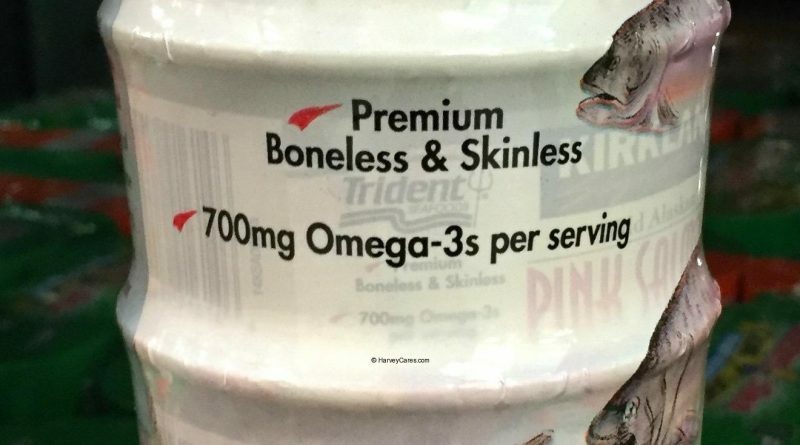 Have you bought the Kirkland wild Alaskan boneless skinless Pink Salmon before? Did you like it? Does your local store have the item in stock? Leave a comment below!